We at Universal Translation Services understand the importance of communication and its essence in the modern day society. This is why we engage our highly trained professional translators to ensure that the end product of every Azerbaijani to English translation we offer means more value for our clients. We do Certified English to Azerbaijani translation and vice versa for corporates, individuals, start-ups and non-governmental organizations, paying great attention to what your translation is required for. Communication through translation helps to ease life’s everyday activities, be it a relocation from the medieval walled inner city of Maku to the sprawling Southern California city of Los Angeles or a resettling that involves moving your business to Mingachevir the city of light. Many of Life’s processes that would have naturally not been possible due to language differences has been overcome with the aid of translation, and we would continue to translate because we mean well for the world. Looking for English to Azerbaijani translation? Universal Translation Services presently offers translation from English to over (500) five hundred other languages, of which Azerbaijani happens to be one. 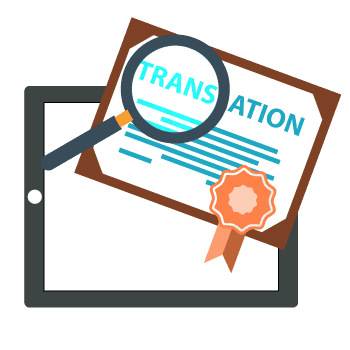 Our certified translation team would in a very short time handle all your translation jobs, all you need to do is contact us, provide us with the needful and allow us work wonders for you. For your business, finding the right people to handle your translation needs is of essence, especially if you are looking towards reaching out to English non-natives who do not communicate in and understand Azerbaijani. Reading through our page right now means you just found the right place. Here at UTS, we have certified translators who would offer nothing short of your expectation when it comes to excellent Azerbaijani to English translation. Thanks for visiting our page. We understand you have a lot of materials and documents waiting to be translated from English to Azerbaijani and vice versa. Your search has brought you this close to achieving that, why not click our live chat button right away to get in touch with one of our highly trained experts. The US offers an array of opportunities and promises potential to individuals aiming at migrating into the US. To be able to properly work and be legally employed in the US, several of your documents would be required at some points. Having these documents in Azerbaijani would mean just Azerbaijan jobs in the US for you, because you would require the services of a certified Azerbaijani to English translator for documents that would prove useful in facilitating your employment in English driven firms. Certified Azerbaijani to English translation can be professionally done by Universal Translation Services for documents like birth certificates, marriage certificate, driver’s license, university certificates, death certificates, statements, letters, declarations and more. 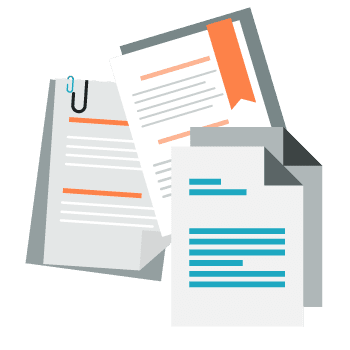 We put extra effort by carrying out double checks on your documents and files, making sure that what we provide you with at the end of our services are reliable copies written in accurate Azeri. Azerbaijani corporates targeting a chunk of the US commercial market are as well covered because our certified Azerbaijani to English translation service is flexibly tailored for your business, irrespective of your sector of operation in the market. Get in touch with us and you would be marvelled with the offer we have, designed to give you the results you desire for your corporation and in a timely manner at that. We at Universal Translation Services believe in the promise that expanding businesses hold and would love to make long lasting business relationships by being a part of and contributing our expertise in translation, for your growth all the way to your big break. Certificates of incorporation written in Azerbaijani and required during business expansion can also be translated by UTS, all you need do is provide us with the certificate and any necessary instructions to better help us serve you smarter. Our page is designed to support responsiveness, hence we are available 24/7 and can be reached at any point in time. You can also get a Quick live quote for your Azerbaijani to English translation jobs here at UTS, do this by using our “Quick live quote” button, alternatively you can dive in for a live chat with one of our highly trained project managers. It is common to hear someone say “There is beauty in diversity”, yes and true there is. We at Universal Translation Services have taken this notion further to acknowledge also that there is beauty in language diversity, and at such we have incorporated translation that cuts across over 500 languages, including English to Azerbaijani translation. Big brands like Google, Apple, Facebook and Microsoft likewise have leveraged on this beauty in diversity to extend their presence beyond Silicon Valley, to every possible nook and cranny of the world. These brands didn’t establish their presence in foreign soils with just a single language, they had to tailor their brand and its products to relate with the needs, culture and understanding of the several countries that they operate in today. They made sure of efficient communication between their brands and their target clusters. How would you as a business initiate communication between your brand and your target clients, and subsequently ensure that this communication is sustained? Your answer lies in our translation services. If Azerbaijan happens to be one of your desired locations for the expansion of your business, UTS should be your one stop to translating your products and services to relate directly with the culture and understanding of the Azerbaijan society. Our certified English to Azerbaijani translation service is also useful for your legal and medical document translation. 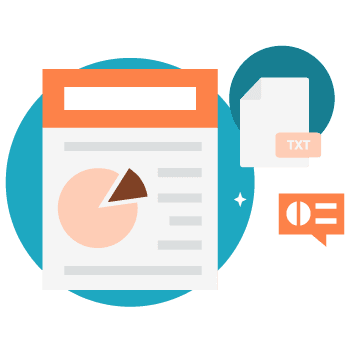 If the above documents happen to be in English or any other language, like Spanish or French, our certified experts would on your request provide accurate and properly translated copies, all at a price you can afford. Do you operate an Azerbaijani website or own software that has an Azerbaijani interface and would want these translated to English? If your answer is on the affirmative, then you’re at the right place. UTS offer excellent Azerbaijani to English translation for websites and software. We also do the reverse of this which involves English to Azerbaijani translation for corporate and personal websites, and software alike. Translation for localization is also done by UTS for products and services you require to be adapted for the Azerbaijani community and other Azerbaijanis in Diaspora. Azerbaijani also known as Azeri is a macro language spoken natively by the Azerbaijanis, who mainly reside within Transcaucasia and Iran. This language is also referred to as Azeri Turkic or Azeri Turkish. Azerbaijani to English Translation eases the readability and understanding of documents written in Azerbaijani for people migrating to the US and other English speaking countries. Azerbaijani to English aids documents like a publication to reach a wider audience who cannot read and understand Azerbaijani, translation in reverse would promote having more Azerbaijani audience on your radar. For large corporates and start-ups, translation to and from Azerbaijani would directly increase your client base depending on the target clients.